The effects of too much time spent sitting in front of a computer put me in the market for a standing desk converter — one of those table-top contraptions that are adjustable in height, enabling the user to work sitting down or standing up. Like me, you’ve probably been seeing them increasingly frequently in your travels and have wistfully wondered, “Do I deserve to enter the ranks of the office equipment elite?” Luckily our crack library staff came to my rescue. They permitted me to test drive one and take this inexpensive Ikea hack back to my office for my own use. I then researched various commercially-available models to get something for my home. I was drawn to products made by Varidesk, Eureka Ergonomics, and FlexiSpot. My search narrowed my options to one model from each company. One was priced at US$400 and two were priced at US$300. I scrutinized the design of each to gauge durability and convenience. I read comparative analyses written by professional reviewers. 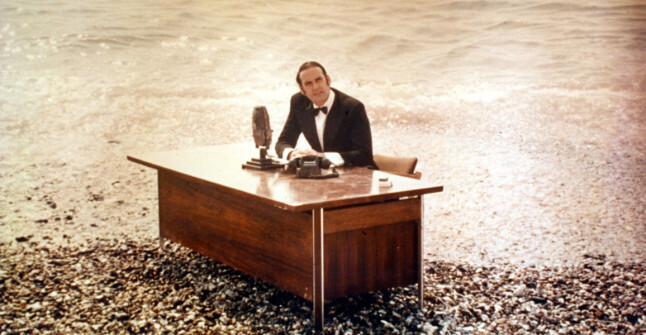 Then serendipity struck: a standing desk unit sold by Staples, the office supply retailer, looked remarkably familiar. I compared dimensions and appearance, and yes, it was an exact match to one of the previously-described models, but priced at only US$200. So I bought the thing and am now using it to type this post. It occurred to me that the process I used to make my decision is the same type of analytical thinking that we want our students to become proficient at — cast a wide net to gather the best information one can find, evaluate it according to context, and render a judgment. It’s one of the skills that we say students will develop if they take political science courses. So now I’m trying to figure out how to turn my experience into an assignment, to make the connection between what gets learned in an academic setting and the ability to apply it elsewhere more obvious to students. Becoming a competent consumer of political science scholarship is almost always an objective of my courses, especially general education courses intended to expose students to the social scientific way of thinking. To support this objective, a long ways back I wrote a document called “Reading and Understanding Political Science,” which is an undergraduate’s guide to types of scholarship in political science, the parts of an empirical article, and questions to ask oneself while reading quantitative, qualitative, and formal modeling publications. We typically read this for the second day of class, when most are still struggling to obtain textbooks in this new order-by-mail world. After a brief review of the typology and parts, we engage in The Great Article Sort. To begin, we brainstorm a list of key words and other ways to tell what type of article an item is. Then I pair students off, have them introduce themselves, and distribute 2-3 articles from a pile that I’ve prepared to each pair. Their task is to classify as many articles as they can in 5-8 minutes; extras (and ones that pairs have finished) go in a stack up front for recirculation. The pair with the most correct classifications at the end gets 2 bonus points, so they make two copies of their findings – one to turn in at the conclusion of the sort period, and one to keep for discussion. At the conclusion of the work period, I collect a copy from each group and we review their responses as a class – both what they decided and how they knew. The whole activity, including debrief, takes about 20-25 minutes, depending on how many items they want to discuss. Preparation for this activity took about 45 minutes and consisted mostly of using JSTOR and the internet to access publications where I knew I could find articles of various types (literature reviews, empirical, op-eds, modeling and other theoretical pieces, etc.) across the various subfields of political science. For longer items, usually I printed only the first 4 pages; printing two pages to a sheet and both sides of the paper meant that they’re still only one piece of paper in the stack. Sometimes I was able to reuse items I had in my personal collection that I no longer needed (e.g., spare copies from something distributed in a previous term). I had about 25 items labeled with letters, and usually two copies of each so that we had enough to go around. This wasn’t enough for a 35-person class. If I were prepping this activity again, I’d aim for 40 items and number them, and be very selective in the debrief discussion. Last time, I posted about ways to get students involved in making hypotheses, forming expectations, and testing them with instructor-provided data. Today’s activity leverages technology in a different way, by allowing students to collaborate on data generation and encouraging comparative thinking as a means of drawing conclusions. I begin by creating and sharing a Google spreadsheet (1) with several questions across the top of columns, and several cases listed one to a row. Then, pairs or small groups of students are assigned one or two cells of the resulting table. For example, my Intro to American Politics class did comparative civil rights struggles, comparing African Americans, women, Hispanic Americans, Asian Americans, and the LGBT+ community as cases, and motivations/starting conditions, core strategies, de jure discrimination, and de facto discrimination as questions. One group of students might have motivations and strategies for African Americans, and another group had de jure and de facto discrimination for LGBT+ Americans. As a teacher, who researches organised crime in Italy and Europe, I wanted to re-invigorate my teaching approach and reach out more effectively to my students. In previous years, my undergraduate unit ‘Organised crime and democracy in Italy’ has always been very popular with students because of the nature of the topic, it always attracts and indeed, there is now a buoyant community of academics researching this topic. When I taught this unit I sought to teach my students about the different cultural and economic conditions that surround Italian mafias and organised crime generally, to understand why individuals become mafiosi, what decisions do they make and why? What cultural values shape their world view? What economic activities do they undertake and why? Why do mafiosi seek out politicians and businessmen? But, this form of teaching was very teacher-led with me at the centre, giving out my wisdom. It worked but it was safe and only those highly motivated and enthusiastic students really understood the different debates that I was pressing. How joined-up is your curriculum? We’re rolling around to the end of our teaching here at Surrey. That means several things. First, that students are now focusing more on their final exams than on classes, since they don’t heed our advice that the latter will help an awful lot with the former. Second, that we’re trying to join the dots (again) between what we’ve joined over the past weeks. And third, that it’s nearly time for the amazing L&T new pedagogies workshop we’re running here (yes, since you ask, you can still book here). But back to the second point, connectedness. This is a real issue for social sciences like ours. Unlike physical sciences, where there is a much more graduated progress from core concepts to advanced application, we tend to find ourselves plunging into assorted deep ends from the get-go. The reasons are simply that we have a lay experience of politics that we don’t with quantum mechanics, and that the former is something that sits well within our reflective practice and is indeed a key part of our engagement with our environment. Put differently, you can have a conversation about power and agency with a 6-yr old and quickly get into very profound considerations. The problem that this creates is that the degree to which we can make assumptions about prior knowledge and understanding (being two distinct things here) is highly uncertain. While we try to plan curricula for our programmes of study, we do so on the basis of implicit understandings of what an average student might know about beforehand. And of course, average students don’t really exist. All of which makes it very hard to work towards a solution. The classic approach would have been to just give students what you, the teacher, think is important, whether they’ve had it before or not. The more modern approach would be to map out all the key points of learning and ensure that they are covered in some way. Perhaps we need another approach, that it is more student-centric. If we adopt an active learning approach then we work out from the students’ experience, to address problems as they find them, rather than presenting pre-packaged ‘solutions’. In endeavouring to solve the problems they find, students can draw in new knowledge, into frameworks of understanding , in ways that make sense to them. As that process continues, so the elements become joined up and the gaps reduce. However, we have to acknowledge that this doesn’t mean that gaps disappear automatically. One of the beauties of political science is precisely that there is more than one way to skin the proverbial cat, working from fundamentally different premises. Organic, student-led growth of understanding doesn’t necessarily capture that. Two partial solutions offer themselves here. One is to continue with the thing of activity that I opened with – making connections in sessions. But the other is to create learning environments where there are incentives to seek out new connections and paradigms of understandings. Simulations would be just that sort of environment, where you can take students out of themselves and ‘be’ someone else. And yes, if that sounds interesting, there is a workshop about that. 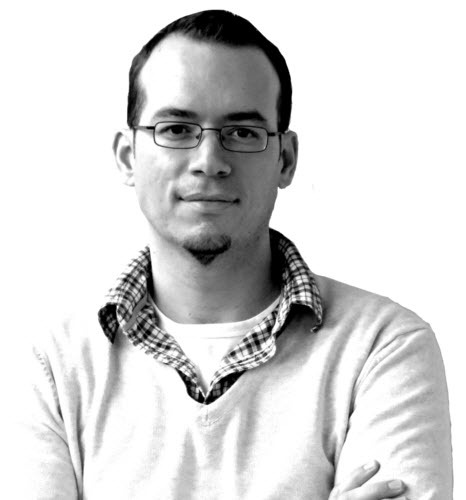 Guest contributor Markus Gastinger is at the Technical University of Dresden. He can be contacted through http://markus-gastinger.eu/ and is willing to share his material upon request. In the winter term of 2015/2016, I was teaching a course on international organizations (IOs). The course was attended by 25 Master students and supported by a lecture. Since not all students had a prior degree in Political Science, we began by reviewing three major IR theories – realism, neoliberal institutionalism, and social constructivism. We had a fair mix of readings for all three but realism was underrepresented because of its state-centered ontology. We discussed constructivist texts with true zeal but they did not – and I write this with great deference and sincere admiration – lend themselves to (quick) lessons in replicability. This cannot be said of rational-choice contributions. After we had discussed the Principal–Agent (PA) model, we read an important contribution by Liesbet Hooghe and Gary Marks (2015) published in The Review of International Organizations. This article struck a chord with students since its large-N approach to studying delegation (the transfer of authority to an international secretariat) and pooling (the transfer of authority to a collective member-state body) gave them an overview of 72 IOs.